It’s tough to predict which exact trends will draw the greatest attention. Yet recent history shows a pattern of trends that have been growing like wildfire. I’ve organized 20 unique trends that have gained traction over 2015 and will likely continue well into 2016. While there’s no evidence that Sketch will ever be released for Windows, it has still become a valued choice by OS X users. 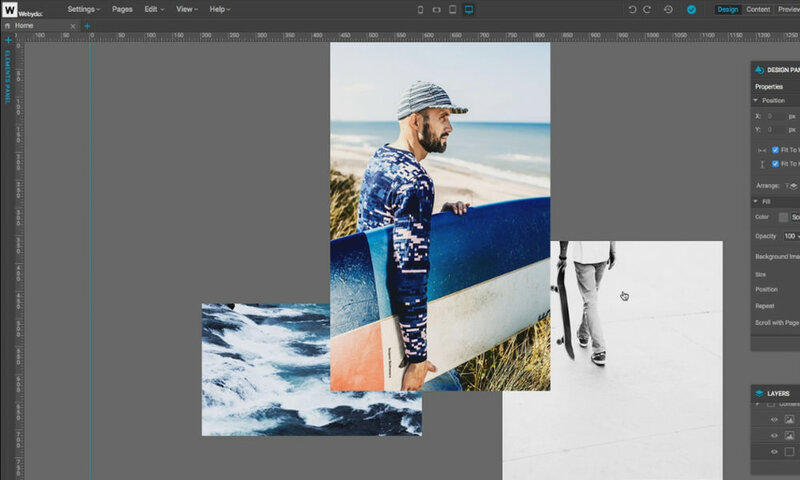 The simplified workflow and cheaper price tag is giving Adobe a run for its money. 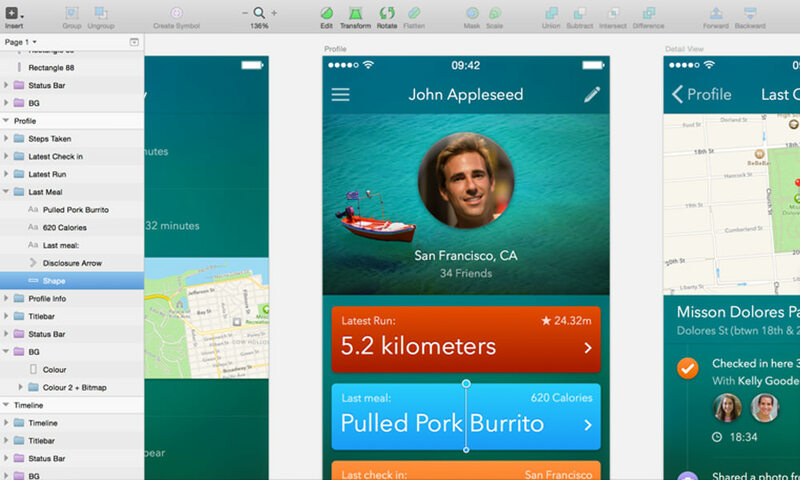 If Sketch continues to provide the best UI design experience then it’ll surely continue growing well into 2016 and beyond. Desktop IDEs have been around for decades with options ranging from Notepad++ to Xcode and Visual Studio. An IDE makes it easier to write code with suggestions and syntax highlighting(among other features). But traditionally IDEs have been released as desktop applications. 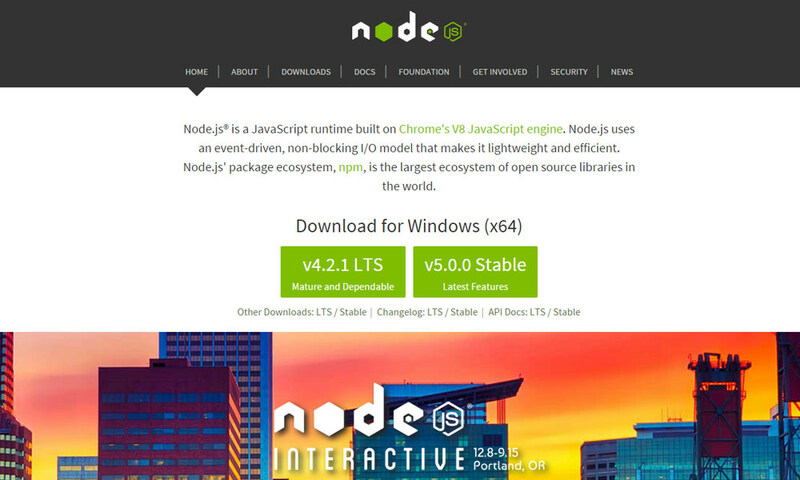 Over the past few years we’ve seen a dramatic rise in browser-based cloud IDEs. 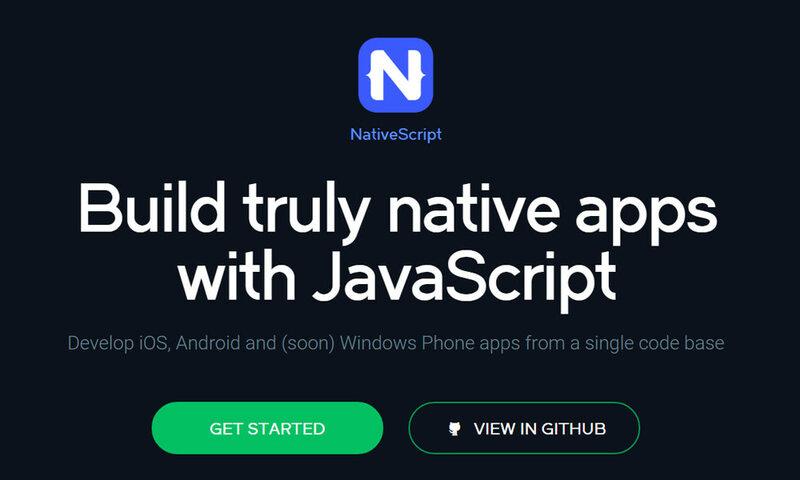 These don’t require any software other than a web browser, which allows devs to write code from any computer with Internet access. Cloud IDEs function more like web applications where you can save code snippets to your account for sharing or personal storage. CodePen is one of the most popular IDEs with support for HTML/CSS/JS along with custom preprocessing like Jade/Haml and LESS/SCSS. 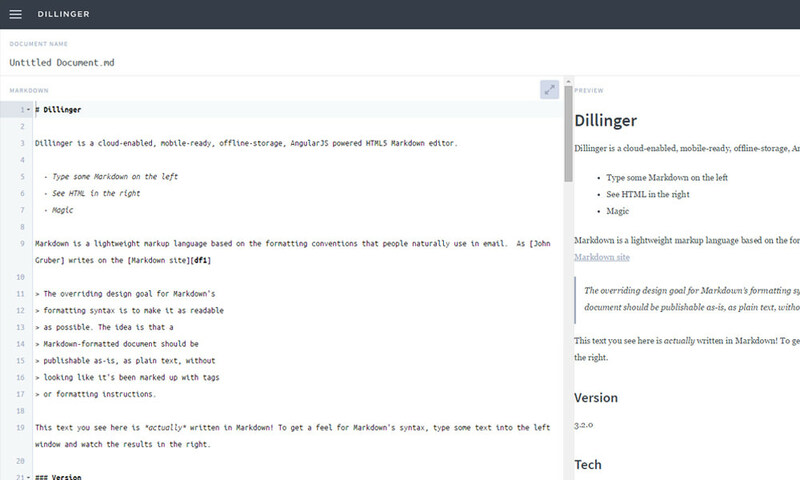 Mozilla Thimble is another IDE for beginning developers who want to learn as they code. Also Codeply is great for testing specific responsive frameworks like Bootstrap or Zurb’s Foundation without needing to download any files. Website card layouts were first popularized by Pinterest a few years back and have since become a trend for content-heavy webpages. 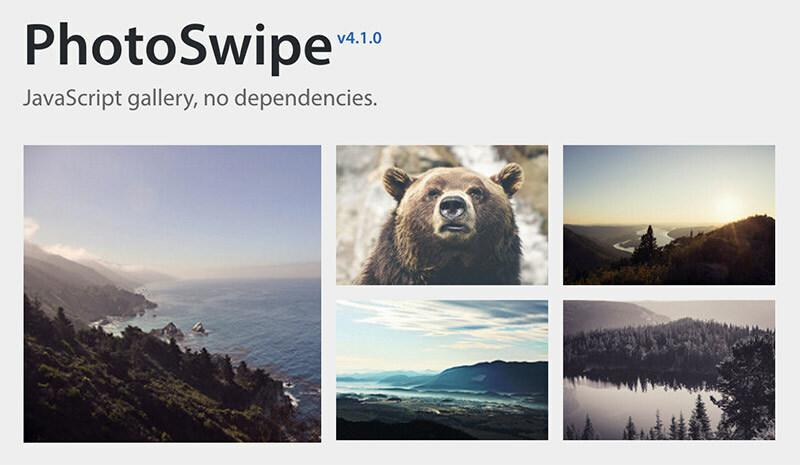 Free plugins like jQuery Masonry can be used to mimic this layout style with animated cards for various heights & widths. A card layout is best used on pages with lots of data that should be scannable. The landing page for Google Now uses a card layout to advertise optional cards for the Google Now app. You can think of card layouts as more dynamic grids with a focus on minimizing content to the bare essentials to list more items together. Online magazines like UGSMAG and The Next Web are both perfect examples of card layouts used to showcase recent post content. Big and small companies alike have taken to the trend of custom explainer videos. These are often created with animation like the Crazy Egg example. But other videos rely on real-life footage like Instagram Direct. The purpose of an explainer video is to demonstrate how a product or service works. Visitors may skim a list of features and still have no idea how the product operates. Videos clarify everything visually and cover the important stuff in just a few minutes. 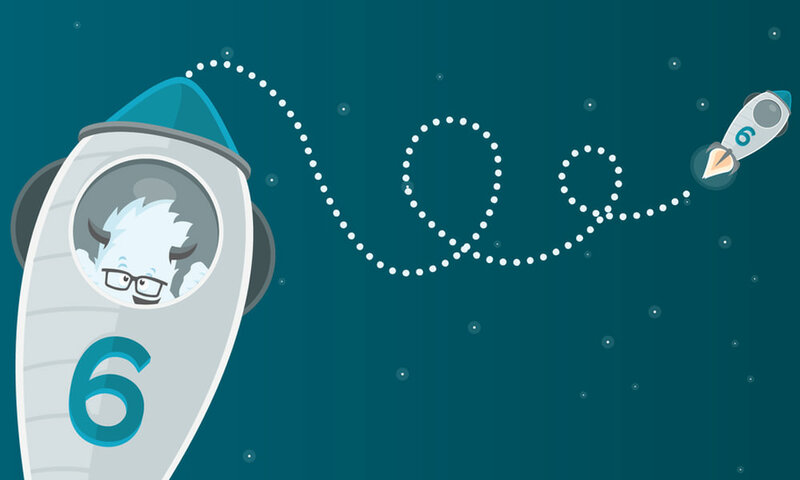 If you want to try your hand at making a custom explainer video check out this Udemy course. It’s an in-depth study focusing on videos for landing page design. Landing page design has seen incredible growth stemming from greater Internet speeds and browser capabilities. One major trend I’ve noticed is the addition of live product previews on homepages or custom landing pages. Take for example Slack’s product page. 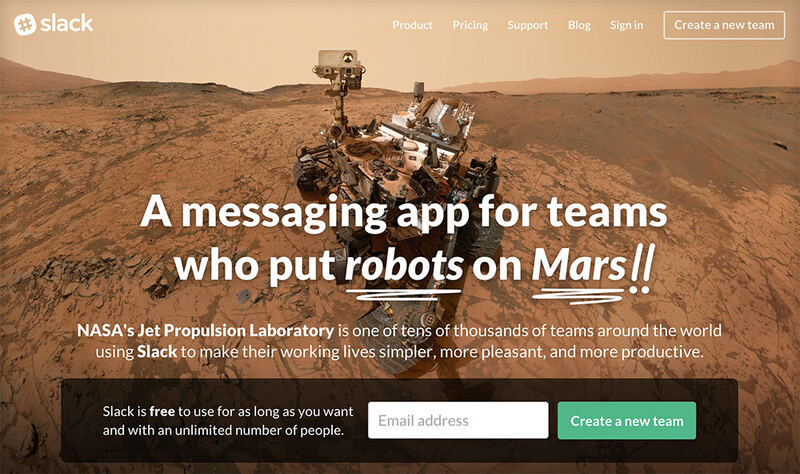 It features a video tour and vector graphics covering the Slack interface. These product previews are meant to give potential users a glimpse into how the product operates. Webydo is another brilliant example with a live animation playing on the homepage. This allows visitors to see Webydo in action without having to manually demo the product. But you don’t always need to rely on animations for product previews. Iconjar uses a simple PNG screenshot to show what the product is and how it works. To learn more check out this Reddit post explaining how task runners operate. These tools basically run JS code that will automate parts of your workflow, either custom JS or scripts written by others. I’m a big advocate of using the right tools for the job. 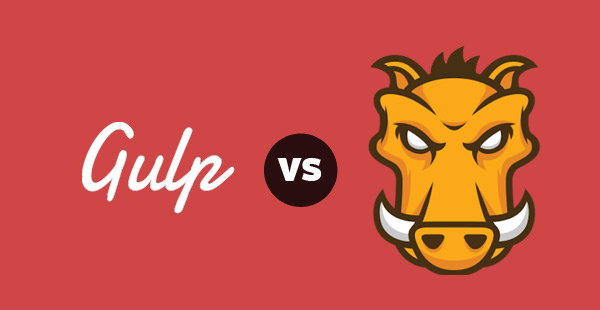 In the case of mobile app development this means Java for Android, Objective-C/Swift for iOS. Frontend frameworks like Bootstrap have been around for years and continue to prove useful on projects both personal and professional. Responsive design has forced its way into frameworks and created a demand for frontend code instead of just backend (Django, Laravel, etc). Moving into 2016 I think we’ll be reading a lot more about responsive frontend frameworks & their value in web projects. Many devs are eagerly awaiting the release of Foundation 6 and the public v1 release of Bootstrap 4. 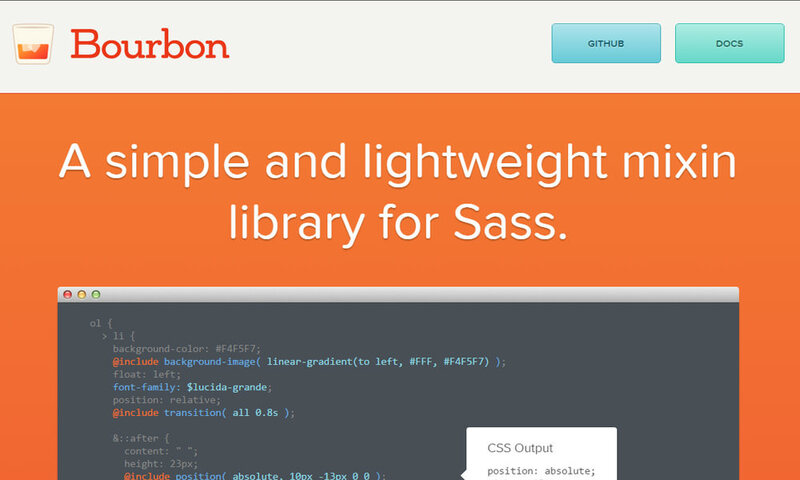 Other lesser-known frameworks you might check out include Gumby and Pure CSS. Just 5 years ago I was barely familiar with UX or how it applied to interface design. 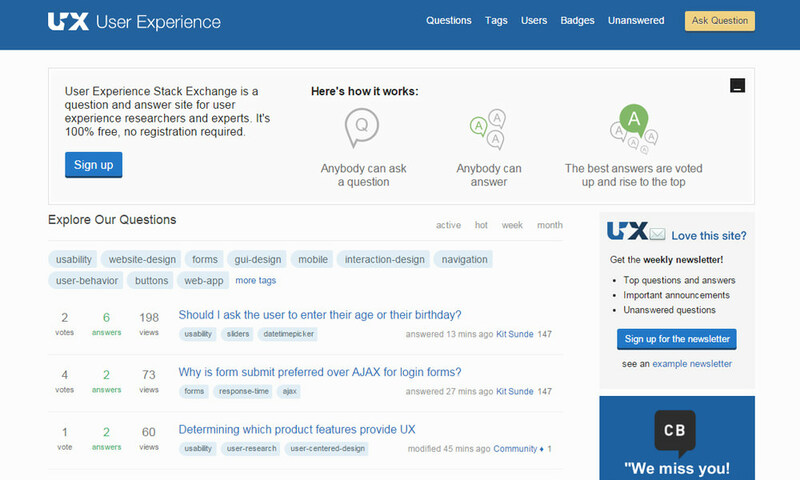 Now we have resources like UX Stack Exchange and free UX ebooks. If you don’t know much about user experience then now is the best time to study & learn how UX principles can be applied to all forms of digital interfaces. Animation isn’t a requirement for good design. But it can make a good design into a great design when used properly. Keep an eye on animated trends for interfaces and see what you can take away from various websites. Remember that web animation isn’t a Disney movie and should be treated with respect. Use animation gently so that it enhances an interface without becoming a nuisance or distracting element of the design. I’ve read heated discussions and fascinating posts about this subject which only seems to draw emotional responses. A good design is just a pretty picture without code. Yet to focus on both requires a designer to spend less time practicing the craft. I feel the clearest answer is to do whatever you want. But it seems this topic is still on the table for many designers who will likely continue the discussion into 2016. It used to be that all programs were run from the desktop no matter what you needed to do. But nowadays I’m consistently amazed with how many webapps are available for free online. Web components are trying to solve problems of complexity for developers. 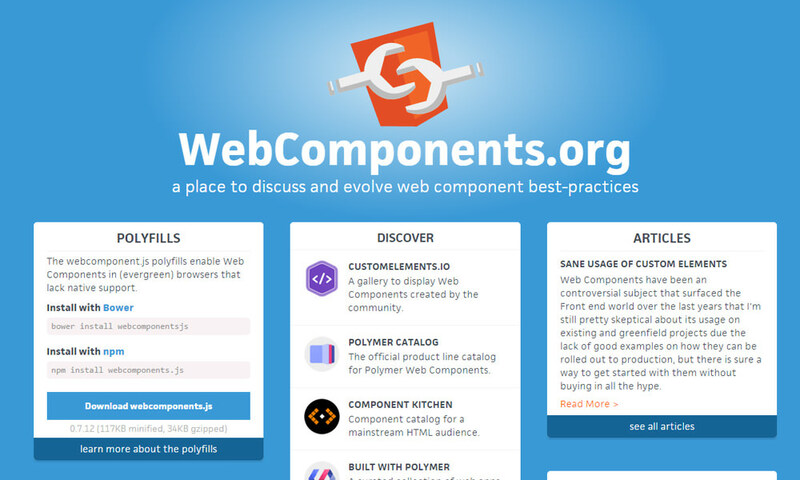 The WebComponents website has great resources and materials to give developers a jump start into this topic. If you’re not sure how to understand modular web components then check out this post to learn more. This may not be practical to use in major client projects just yet. However the technology is available and with a little practice you can master the concepts with ease. 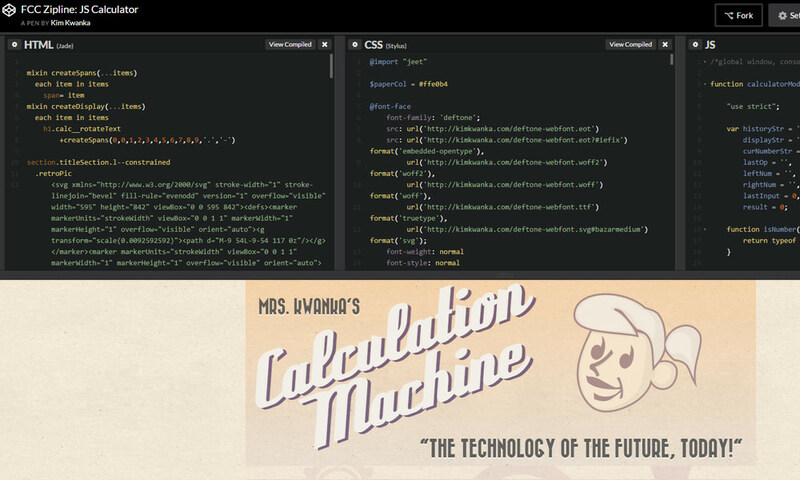 To learn more and see a few code samples you can read through this CSS-Tricks post on modular web components. I feel more confident than ever before that we’ll see a rise of online learning. 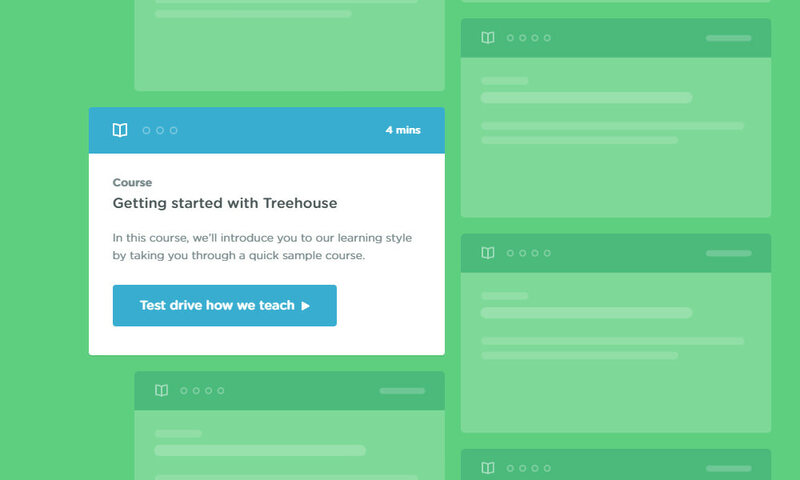 Well-known sites like Treehouse and CodeSchool offer incredible courses alongside newer sites like Bitfountain and Learn-Verified. From what I can tell, Node is still on the upswing and continues to gain traction from industry enthusiasts. Whether you plan to learn Node or not, there’s no doubt it’ll continue to grow as a major trend in 2016. Smartphone browsers have always supported touch features for all websites to maintain backwards compatibility. Yet recently I’ve noticed more plugins and custom features appended onto websites with the specific goal of handling touch events. 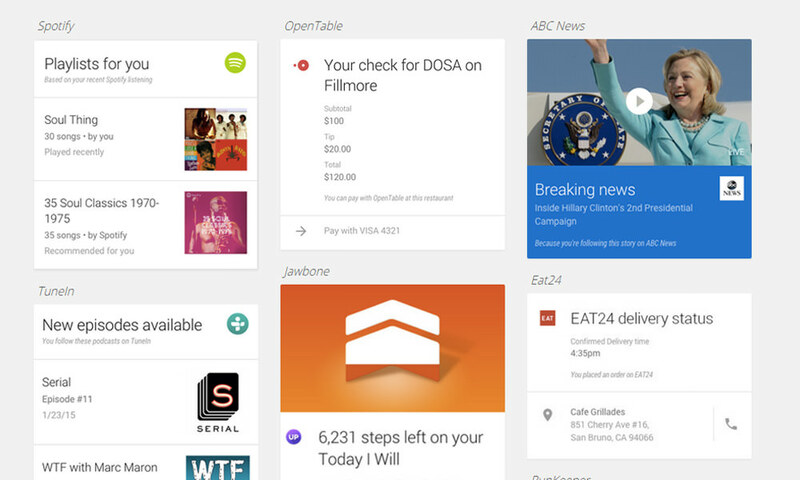 Google’s release of material design was an enormous success for Android designers. Material design is considered a design language meant to simplify the process of crafting user interfaces for Android smartphones. Over time web designers have taken this to heart and built entire websites based on Google’s new design language. It seems the material design trend has moved beyond just mobile apps into the world of web design. 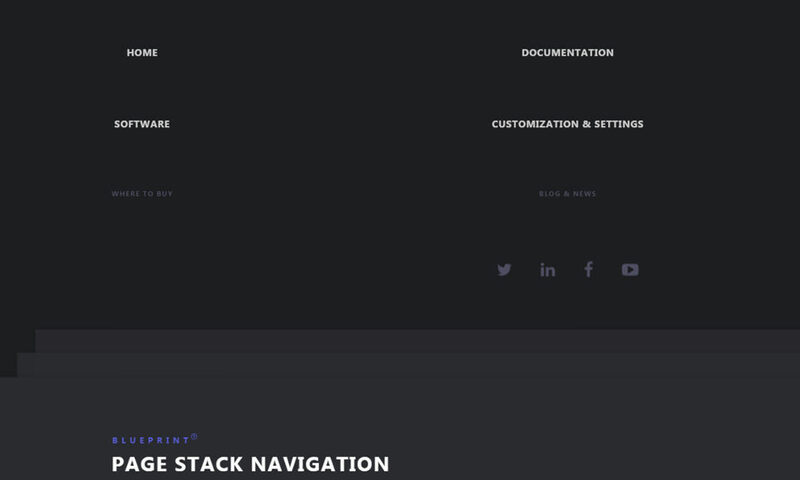 Folks who want to build material websites don’t even have to reinvent the wheel. 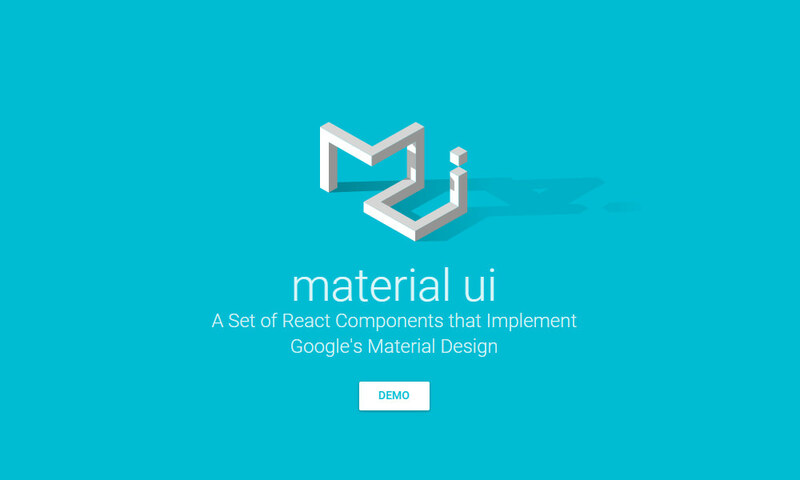 Free libraries like Material UI and Materialize offer custom codes for structuring a new layout on top of the material design foundation. Looking over these trends it should be clear that we’re seeing a real concerted effort from the web community to make the process of building websites easier. We all want to save time in our day-to-day workflow. Since the web’s inception we’ve seen many technologies rise, only to be replaced by better alternatives. These 2016 trends are pushing for a more uniform set of design techniques that will make building websites easier and much less complex.